Littlecote House has played a central roll in many of the major events in English history. Elizabeth I, Charles II, and Henry VIII have all stayed here. The D-Day invasions were planed here. Guy Fawkes was tried here. It was in Littlecote's lovely halls that Henry VIII seduced the one wife he was said to truly love, Jane Seymore. Historical events gather around this beautiful mansion like mist and so do the ghosts. The house was built in the thirteenth century, but the ghosts of Littlecote come from a later time. 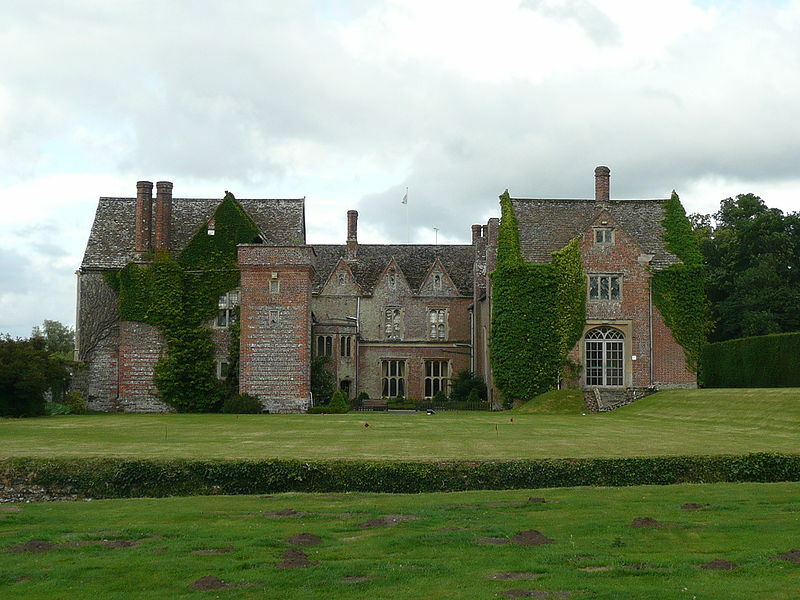 In 1575, Littlecote became the scene of a despicable crime. The owner, William Darrell was a wild man. According to legend, one night a n nobleman sent for a midwife from another village, had her blindfolded and taken to the house where she was instructed to help deliver the baby of a woman. As soon as the child was born the nobleman threw it in the fire. The midwife was given a handsome sum to keep her mouth shut, but she reported the crime. Littlecote was the main suspect in this case, but the midwife could never prove his guilt. He was arrested and acquitted. Fourteen years later, Darrell was thrown from a horse and died. Legend says that the ghost of the dead baby killed him. This ghost is called the burning babe and has been seen all over Littlecote since this time. Darrell has also been seen with his phantom hounds roaming the grounds of the old estate. He is said to be a death omen, appearing with a coach and horses when a death is eminent. There are other ghosts at Littlecote. There is a woman in a pink night dress that appears from the mist and another woman holding a baby who could be one of Darrell's many mistresses. Littlecotte is now a hotel, so if you are looking for a ghostly vacation, this might be the perfect stop. What a beautiful place. I would LOVE to go visit this place! I would love to go there too! I've read a lot of history on the Tudors and it would be fascinating. Oh wow. GORGEOUS! Place that is. The story of the ghost...horrific! Very neat share! gorgeous place--tragic story, but fascinating as always! The tragic story, the beautiful setting... I'd love to check it out one day. I'm such a sucker for a good ghost story. as every tragic story, there's a women, there's a lover, and there's murder or suicide, that put end to the beauty love history, the only thing that is miss here is Viagra Online investigation, this people travel across the country investigating this cases. I was friendly with the currater of antiquity’s at Littlecotte House when it was in the ownership of Sir Seaton Wills during this period a German television company made a documentary about the story of the manor house . Following a session shooting footage much to my friends surprise they congratulated him on providing a member of staff in English civil war period costume to stand in the background of a bay window , surprisingly their was no member of staff involved . Passing on the Life is Good Award! Ghost Photographed in My Living Room!